Bruce Willis’ latest version of Die Hard won over moviegoers during the Valentine’s Day weekend. The latest flick of the Die Hard franchise, A Good Day to Die Hard, took the box office first prize as it debuted this weekend. Die Hard’s fifth instalment earned more than $25 million during the Friday through Sunday weekend to take the top spot. The opening was not as high as many movie analysts had expected, but was enough to beat second place Identify Thief, the comedy that stars Melissa McCarthy. Identity Thief was able to earn over $23.3 million in its second weekend. Most do not consider Die Hard to be a couples movies, but it debuted Valentine’s Day and the momentum it gained that day carried over into the weekend, as it was able to escaped the fate of action movies earlier this year starring Sylvester Stallone, Arnold Schwarzenegger and Jason Statham that all bombed at the box office. Die Hard producers knew that the character played by Willis in the movie, John McClane, is loved by women for his emotional attributes and because all he cares about is saving his family. 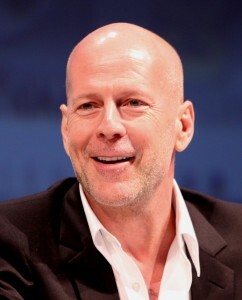 Willis has been able to cross genders with the McClane character better than any of his other action movie actor counterparts. Coming in third place behind Identity Thief was Safe Haven the latest Nicholas Sparks adaptation. The movie earned a respectable $21.3 million. Escaped from Planet Earth took the fourth spot as the 3-D animated film earned more than $16 million and the top five was topped off by Warm Bodies, a comedy starring zombies that took in $9 million.